• Do you take a lot of photos when you travel? I am anything but a professional when it comes to photography, but I love to document where I've been and what I've seen. Vacation photos can be anything - snapshots of yourself or your friends, the scenery, or just something that catches your eye. The photo at the right is a picture from a trip to Boston and Glouster, MA. 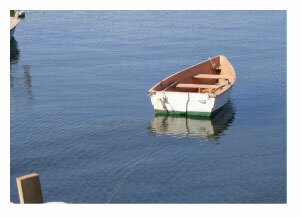 I just liked the look of the old wooden rowboat, and it reminds me of a day that was not spent sightseeing in Boston. • Scenery shots, like this one of the Grand Canyon, really aren't all that interesting to anyone but you - let's face it, we've all seen photos of the Grand Canyon before, and it's not likely that you're going to come up with anything all that different than what's already been published. But who cares? 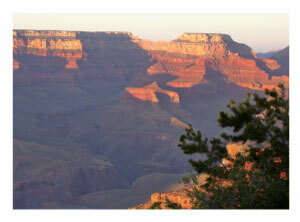 It's your vacation and your photo, and if it reminds you of a special trip, then it's served its purpose. You do NOT need to come up with pictures that are worthy of framing or publication - they're mementos either way. 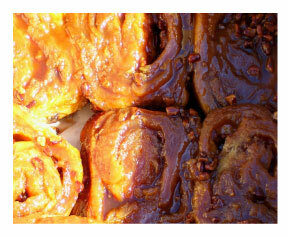 • Sometimes, it's just a color or texture that catches your eye - this photo is a box of sticky buns from a great bakery I visited on a trip. Aside from the memory of a delicious pastry, I really liked the look of them, scrunched up in the box with a luscious glaze shining in the sun. 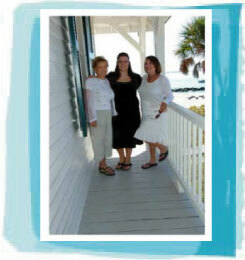 • The best vacation photos include people, especially people having fun! 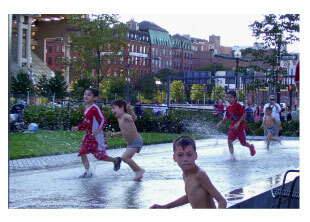 No, these aren't my kids in the picture - I just loved watching them playing and cooling off at the end of a hot day. But when you're on vacation and having fun, those are the moments you really want to capture! Those pictures truly do say a thousand words, and a picture like that tells the whole story of your experience. • If you'd like some instruction in photography - while enjoying a New York getaway - take a NYC Walking Tour with a Personal Photographer - This tour features a professional photographer as your tour guide - so you not only see and learn about the history and architecture of New York, you get great photos along the way! • By the way, we'd love to see your vacation photos , too! Send them to us, and they'll be featured on our Photo Gallery page, and on our Facebook page.